Last year I ran my first half marathon. I was not very dedicated to my training, but managed to run most of it as I was an avid fitness class attendee and did some running. This summer things were different. I started out slow with three or four miles and builtup, and ran 13 last Sunday just for fun. Ask me a year ago and I would have never thought 13 miles would be a “fun run”. I find a lot of joy in running. Running by myself gives me time to reflect on my day and brainstorm for work projects. I can sort through my thoughts and often find clarity in moments of silence. 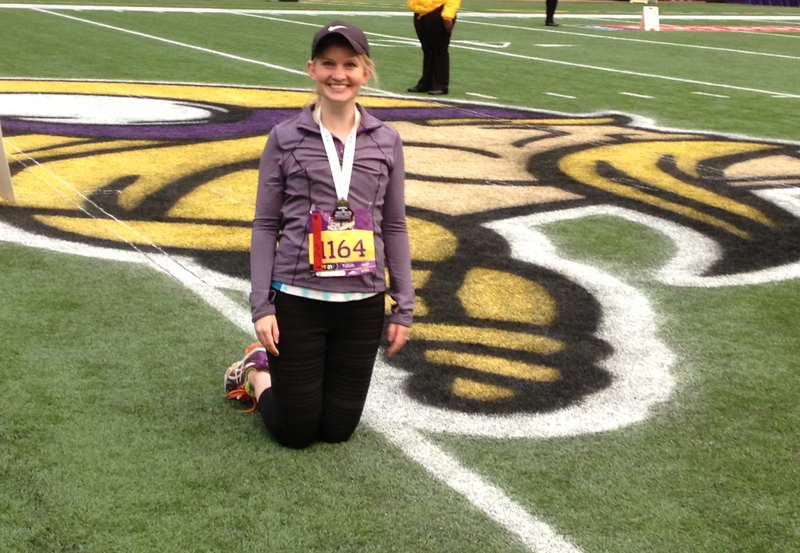 Sometimes I go with a run club, which has served as a great way to meet new people.Saturday I participated in the first ever NFL Minnesota Vikings 5k fun run and finished in number nine in the women’s division. A small victory I never expected to achieve. Do you have an out of work activity that helps you reflect and or get away from the stresses of daily life? If not, what is something you have always wanted to do, but been afraid to try? As a new graduate or professional you likely have many commitments, new challenges, and experiences. I would encourage you to find an activity that brings you joy!